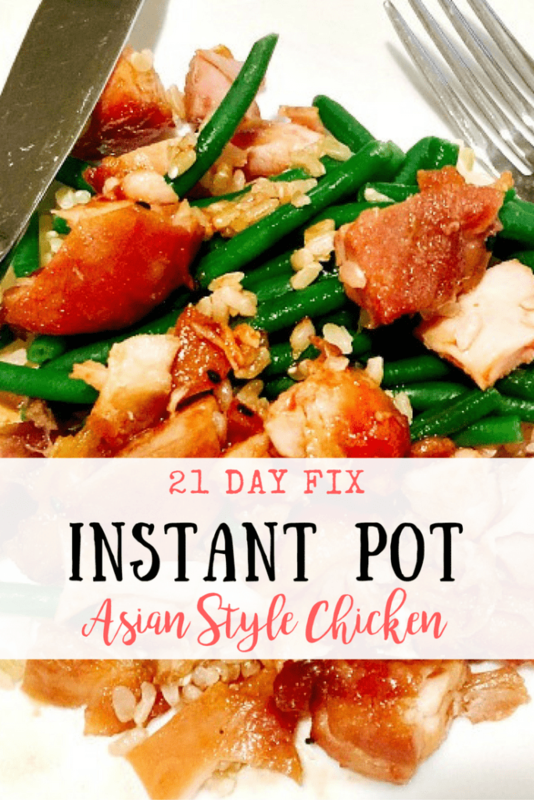 This 21 Day Fix Instant Pot Asian Chicken is a family favorite; it’s a fast, easy, and delicious dinner that’s FIX approved, gluten-free, dairy-free, and paleo friendly. This post contains affiliate links for products I am obsessed with. Thank you for your support! 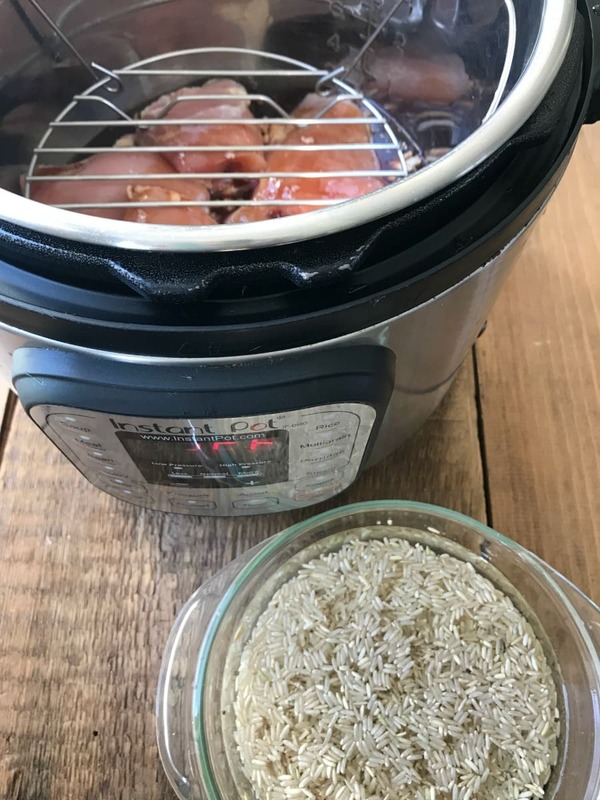 My favorite crock pot recipe gets an Instant Pot make-over! And now I have even updated it with new photos, because thanks to the magic of the Instant Pot, this is now a one pot meal for us! This was always a super popular recipe for the Crock Pot, but now I only make it in the Instant Pot. A few lovely ladies in my challenge group actually tried this one before I did and gave it rave reviews! I actually changed my meal plan to try it asap…and they were right! It was amazing. There’s something about the Instant Pot that makes even the tastiest dishes even tastier. I kept this recipe pretty much the same at the original, but used my favorite Saute function at the end to thicken the sauce. And because we were in a hurry, I added a couple of teaspoons of rice flour and whisked it up a bit. 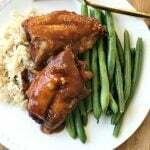 SOOOO delish over rice and green beans, which I do right in the pot now. SO simple! 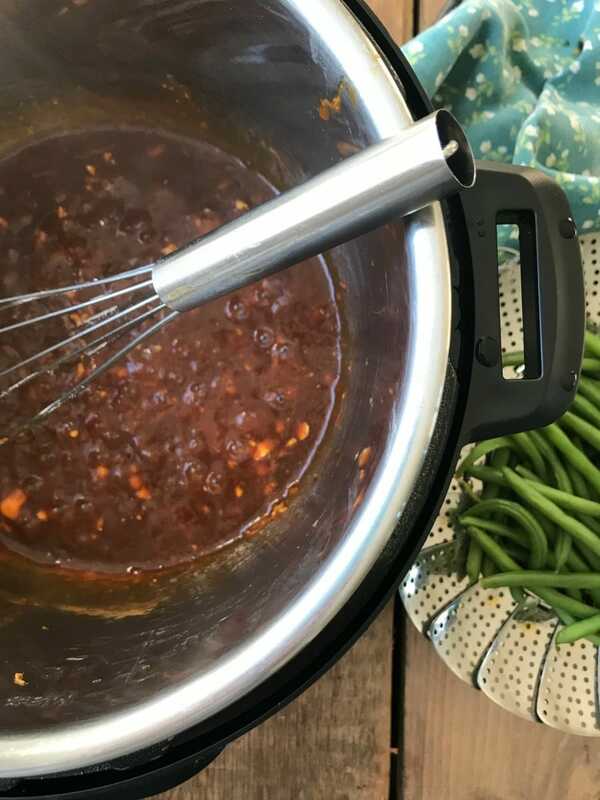 Just place the chicken and the sauce at the bottom of your Instant Pot and set the trivet on top. Place equal parts rice and water in an IP safe glass bowl. 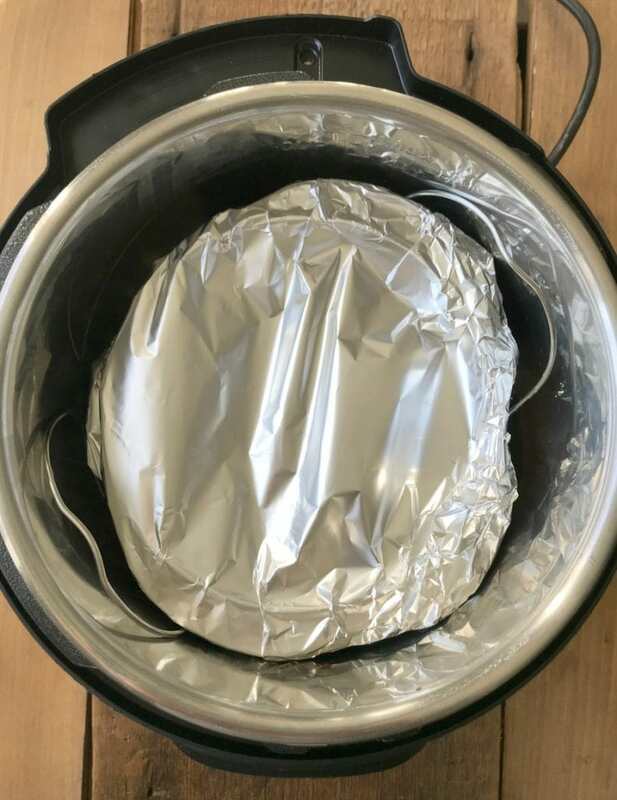 Cover with foil and place the bowl on top of your trivet; set your Instant Pot for 22 minutes using the manual or pressure cook setting. 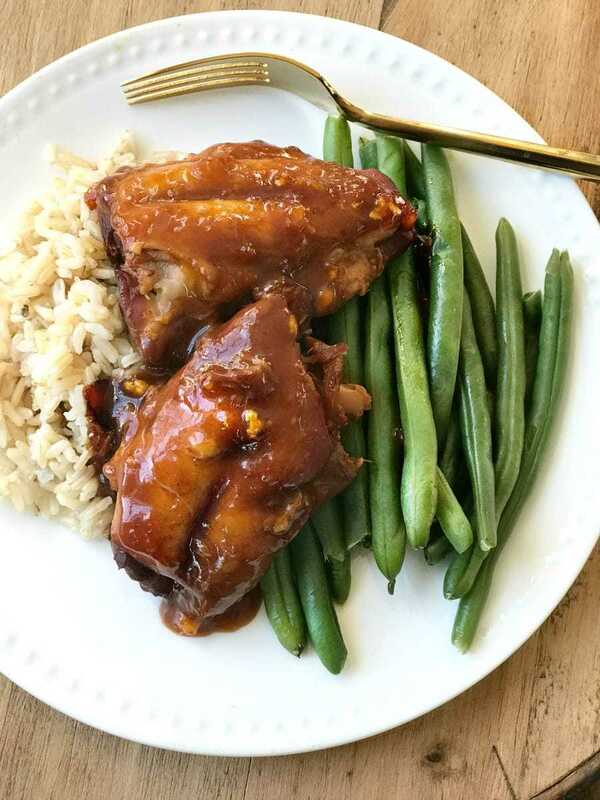 After cook time and a ten minute natural release, carefully (using oven mitts) remove rice from the Instant Pot and also remove the chicken using a slotted spoon, keeping the sauce in the Instant Pot. Set both aside. 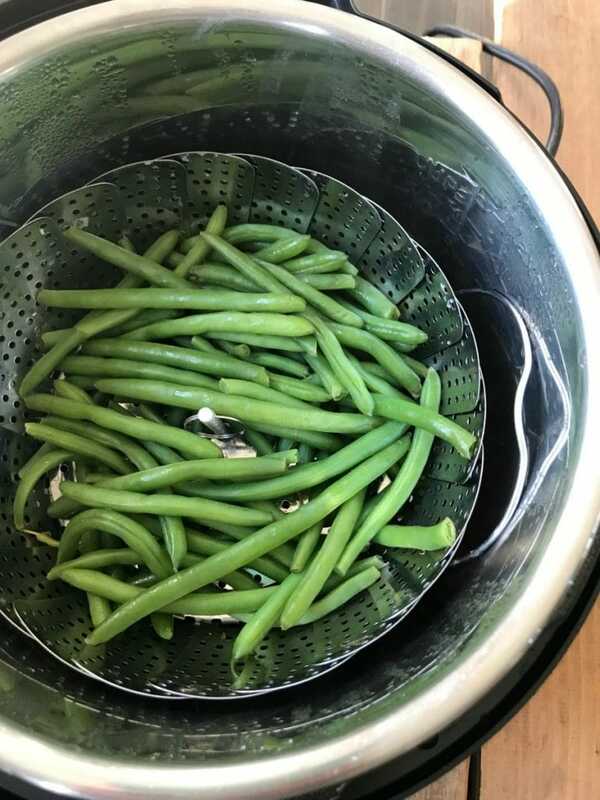 Place green beans in your Steamer Basket . Do not add any more liquid, as you will use the Asian Chicken sauce to steam the beans. Set your Instant Pot to manual or pressure cook for 1 minute. Do a quick release. Now you can thicken the sauce and enjoy your meal! Well, if you are lucky enough to have leftovers, that is! This 21 Day Fix Instant Pot Asian Chicken is a family favorite; it’s a fast, easy, and delicious dinner that’s FIX approved, gluten-free, dairy-free, and paleo friendly. In a small bowl, mix the rest of the ingredients together, except flour. Pour over honey mixture over chicken and place the top on the pressure cooker. **If you are using an 8 quart pot, add 2/3 cup of water. Turn to high pressure and set for 15 minutes. It should take about 15 minutes to come to pressure. After the timer is up, switch to quick release. To thicken sauce, remove chicken and set to saute. Whisk in two teaspoons of flour, if desired, and cook for a few minutes, stirring frequently. Then add chicken back in and keep warm until you are ready to eat. In a small bowl, mix the rest of the ingredients together, except flour and rice. Pour over honey mixture over chicken. **If you are using an 8 quart pot, add 2/3 cup of water. Place your trivet over the chicken and liquid. In a IP safe pot, add equal parts rice and water. I usually do 1-2 cups of rice and then the same amount of water. Cover with foil. Set your IP for 22 minutes. Then do a 10 minute natural release. 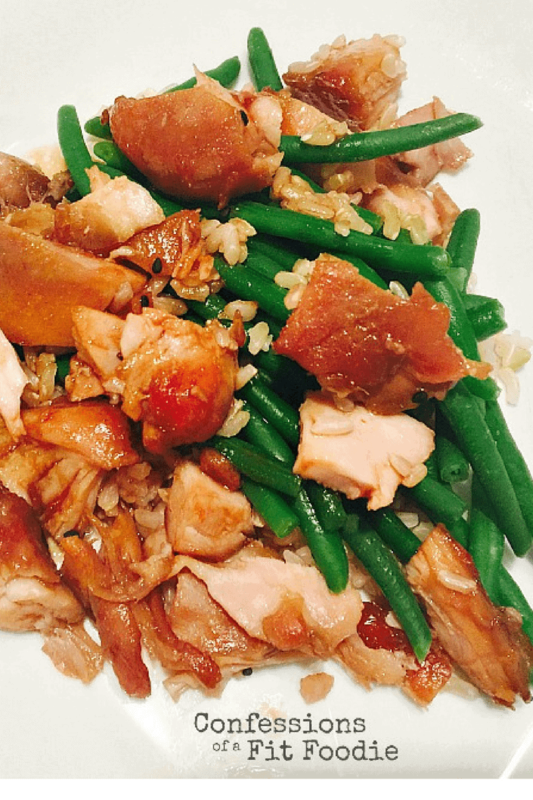 Carefully remove rice from Instant Pot, then the trivet and the chicken. To thicken sauce, set IP to saute. Whisk in two teaspoons of flour, if desired, and cook for a few minutes, stirring frequently. Then add chicken back in and keep warm until you are ready to eat. Serve chicken and sauce over rice and your choice of veggie. Me, too!! I can’t believe how much I love it!! I just posted a new recipe tonight…and have a bunch more coming!! Enjoy :). Can we use frozen chicken for this ? I haven’t, but I am sure you can! 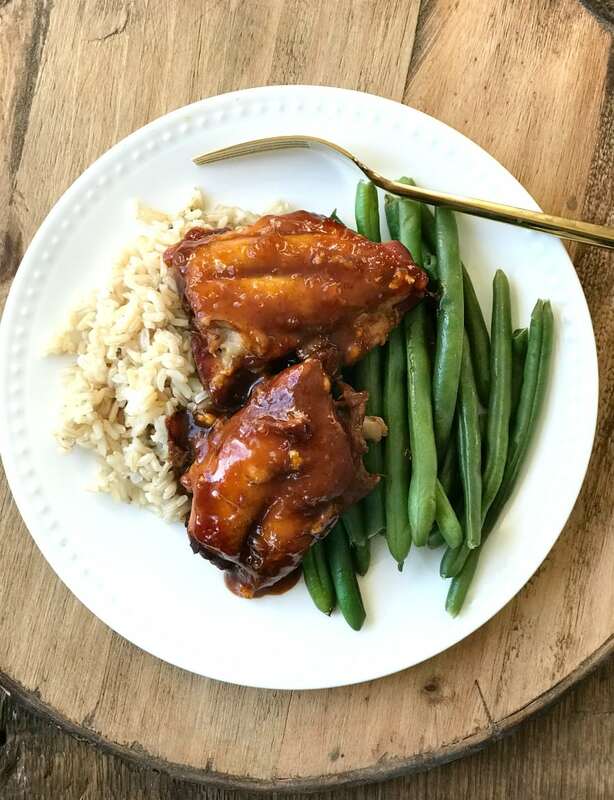 My first Instant Pot Meal and it was a winner! Do you think I can make this recipe with white meat, as my husband is what you would say particular. He did love the sauce! Yes!! It will be great!! Could you good green beans with the chichken? Do you use the solid or liquid form of coconut oil? It doesn’t matter for this – it will melt with the heat anyway! I followed this recipe to a T and the display read “burn”. What could have happened? I have never seen that with this recipe! 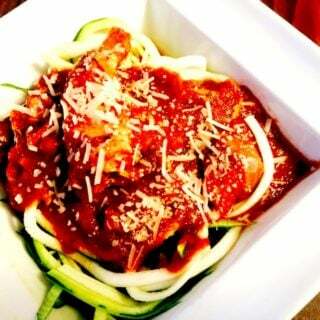 Was the tomato paste mixed in well? Tomato products can sometimes cause this. Had the same thing happen (“burn” message) to us. I suspect the reason some are seeing this and not others is the fact that some have the 6qt and some have the 8qt (duo). We have the 8qt, guessing this recipe was intended for the 6qt? Hi! I did make it in my 6 quart, but I will try it in my 8 quart and let you know!! I hope that’s not the case -it’s such a yummy recipe. Do you use boneless skinless thighs or bone-in? Can Xylitol be substituted for the honey with success or is the honey required for flavor or consistency? Hi there! Can’t wait to try this recipe. Curious about why the tomato paste and the rice flour do not show up in the container counts as some fraction of P and Y? Thanks! They would be such tiny amounts, I don’t even both counting!! Hi! did you ever test this recipe in your 8 qt? or with frozen chicken. 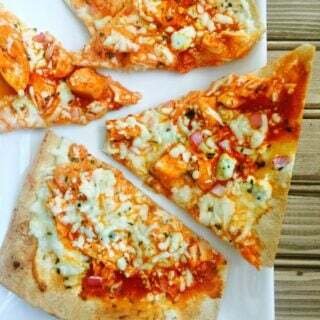 Want to try this for my 1st IP meal and want it to be successful! thanks! I have not tried it in the 8 quart yet, but some people have reported getting a burn message. I wanted to test it by adding 1/2 cup of stock or broth to the liquid. I’m hoping to try this recipe as my very first instant pot meal (I got one for Xmas); I have the 8 qt. I read the previous comments about concerns with the “burn” signal. I will try what you suggested and add some chicken stock. I was also wondering since I have the 8 qt, could I double this recipe, to have leftovers/for freezing? Yes! This freezes very well! If you use 2lbs of chicken would you still use the same amount of ingredients for the sauce? It will be fine, but I would double – you can never have enough of this sauce! Is there anything that can be used as a substitute for Coconut aminos ? Thank you !! Low sodium soy sauce works great! Are you dicing the chicken breast ahead of cooking? Or would it matter? I don’t think this recipe cooked the chicken well enough. If I double this recipe, do I double the amount of cook time? 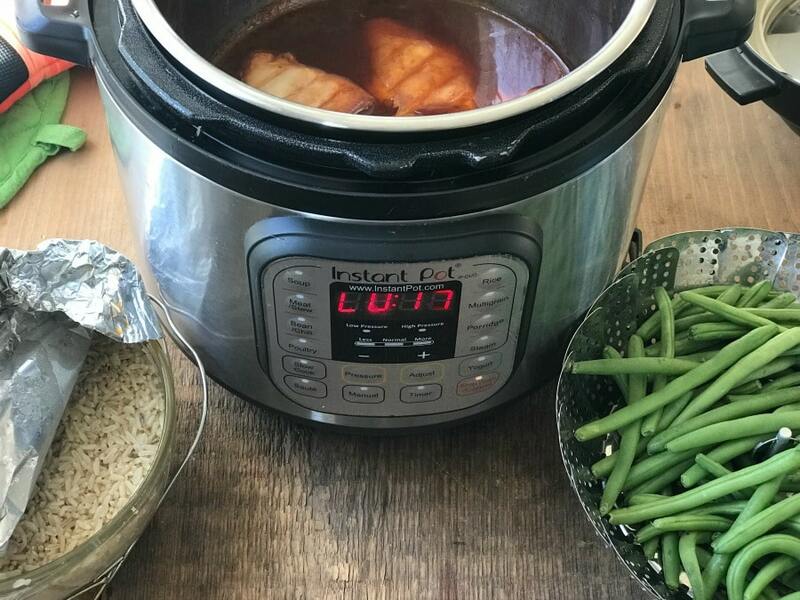 Also, my Instant Pot doesn’t have a button for high or low – I’m new to this, sorry! How do I know if it’s on hight? Press the poultry button? Thank you! It will default to high – you are good! And you don’t need to double cook time…just the ingredients! I’ve been making this in my crockpot once a week for a past couple of months and I just got an instant pot so I CAN NOT WAIT to try it in the IP! WOOOOHOOO!!! This is super exciting, Tracy!! What did you do for the Crock Pot? I haven’t purchased an IP yet (on my Black Friday List ? ), but would love to still make this in the Cp! Thank you! Oh perfect! Thank you so much! Do you know what the Weight Watchers points for this are? I’m sorry, I don’t! But I am looking to add them to posts in the near future! I do not have an instant pot, i have a faberware version, it does not have a manual mode, should i use a slow cook setting any suggestions? Does it have a pressure cooker setting? Would coconut flour or almond flour work instead of rice flour?? Would that impact the 21 day fix containers at all? Cornstarch would be a better substitute. We love the this one! Hope you do, too! Why is the serving size 2/3 cup of chicken but couns as 1 red container when a red container is 3/4 cup? You are right – I honestly measured my red container as 2/3 cup…but I have seen other places that it’s 3/4. I need to a adjust this in my recipes. 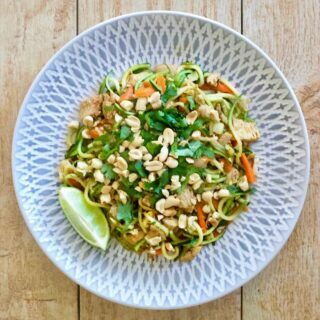 I don’t have an Insta pot but would love to try this recipe. How would I modify the directions for a regular slow cooker crockpot? Thanks for the help! Would you change the cooking time if you were using boneless skinless chicken breasts? I would use the poultry button and make the breasts shredded! I want to make this but a little confused. The time you set the cook time for us different between the written out directions with the pictures and the listed recipe at the end. The listed record states high pressure for 15 minutes while the blog directions with pictures above state to set for 22 minutes. Which is correct, please? I am hoping to try this tomorrow. It depends…with the rice, it’s 22 minutes with a ten minute natural release. Just the chicken would be 15 minutes! Hope this helps! Thank you for the clarification. I look forward to trying this in a couple days. Yum! Didn’t have coconut aminos so used low sodium soy. I didn’t have rice flour so used tapioca flour. It didn’t thicken very much but still really good. My whole family, even the picky kids liked it. 🙂 I made rice for the kids and cauliflower rice for my husband and I. Definitely a do again! Thank you! I am so happy you all enjoyed it – especially the picky kids! I know what a win that is! Thanks, Wendy! 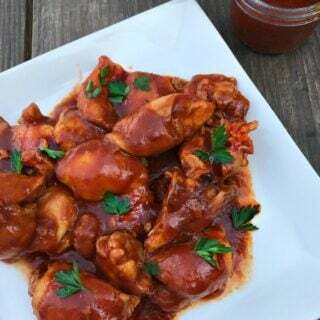 If I were to prep the sauce ingredients and fresh chicken breasts in a freezer container, think I could dump in the IP and cook it all from frozen ? What dishes can go in the IP safely for the rice? I’ve never tried that before and am excited to try this recipe! Thanks. Thank you so much for your quick response! I’ll check that one out!